I really wanted to include slippers, as well as socks and I was delighted to find Joe’s Toes! Joes Toes is Amanda (mum of Joe) and she has created these wonderful kits, which consist of felt soles and enough wool to create a very simple, but warm, cosy and incredibly sweet pair of slippers. There are kits for adults, kids and babies and prices start at £9.95 for the smallest size, £15.95 for the kids and £21.95 for the larger. 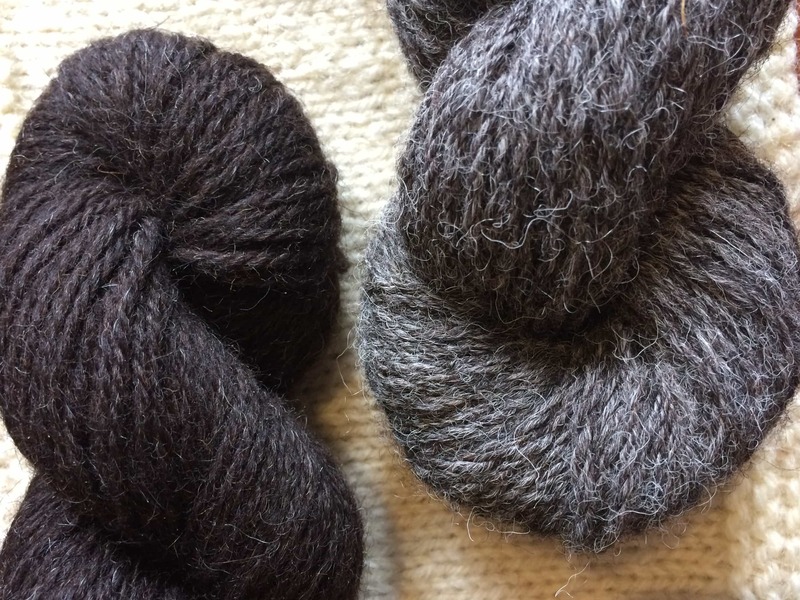 The kids and baby slipper kits contain British wool with cosy, yet hardwearing Herdy for the kids and BFL for the baby kits. Kits come complete with instructions and there is also a tutorial online. 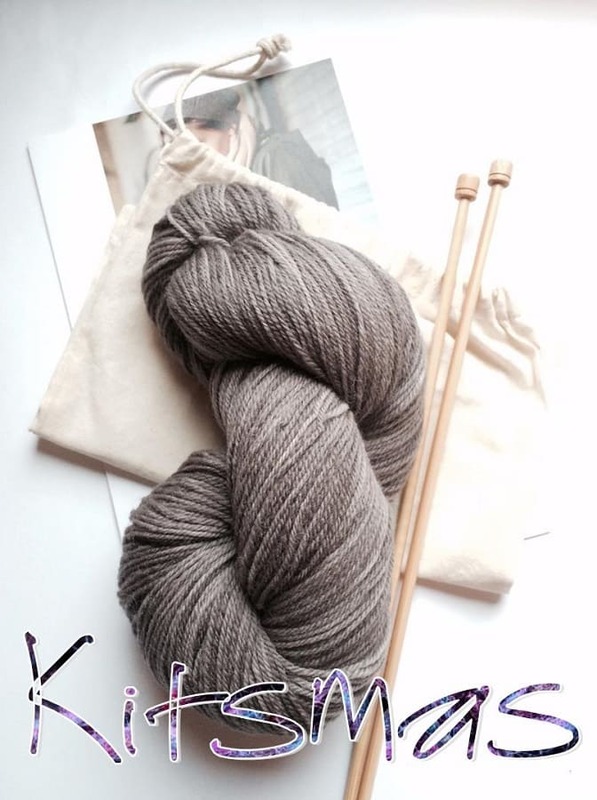 I think this would be a really great gift for all knitters, particularly beginners. 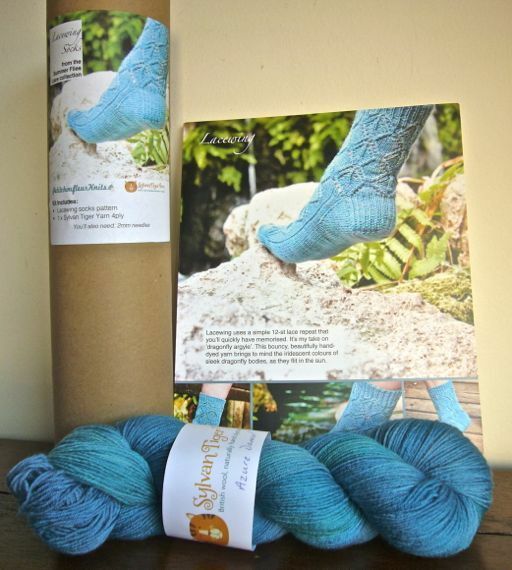 I mentioned Sylvan Tiger’s shawl kits in an earlier post and Katie also stocks the Lacewing sock kit. The top down, heel flap socks, featuring a 12 stitch lace repeat, are another design from Gwen Wagner-Adair’s Summer Flies collection. The kit contains the pattern, which contains both charted and written instructions, and a skein of 100% BFL 4ply yarn dyed by Katie. The colour included is Damsel, but you can choose any base or colour from those available in the shop by dropping Katie a line via her etsy shop. The Lacewing Sock kit costs £18. If you are not sure if your loved one likes hand-dyed yarn, or can knit lace, etc there are still some lovely sock kits out there which would make lovely gifts. 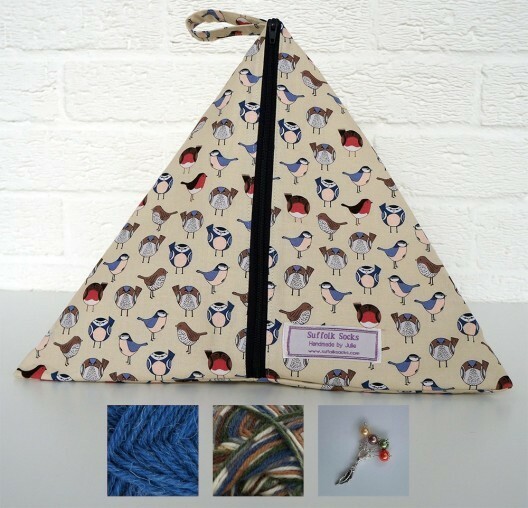 Suffolk Socks have kits which contain West Yorkshire Spinners signature yarn, stitch markers and a lovely handmade bag. Julie of Suffolk Socks also had some lovely Christmas themed kits in the shop too, but I can see they have all been snapped up. I really like the option of a commercial yarn, but with the hand-made elements of the bag and stitch markers. 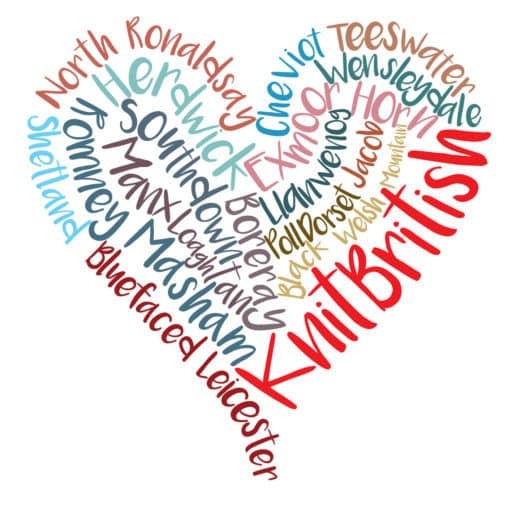 There doesn’t seem to be a pattern with this kit, but any sock knitter will have a few in their library! This kit costs £35 and I would also urge you to check back to see when the shop updates. Julie also sells project bags and a range of yarns, needles and notions. This is the last of the Kitsmas features – don’t forget that 21st December is the last posting day for Christmas (in the UK) for most sellers (do check!) so don’t leave it too much later to get your Kitmas shopping in! | GIVE AWAY! Amanda from Joes Toes has offered a baby slipper kit, in lovely BFL, as a prize! To be in with a chance of winning please go to the Joes Toes shop and have a look around and leave a comment below stating which other items might make their way onto your Christmas list! Only entries which answer the question will be entered. The give-away ends on Friday 8th January at 12pm (UK) time and an entrant drawn at random shall be the lucky recipient. Thanks so much to Amanda and good luck! These look great! Especially for those of us who don’t like slippers (they make my feet too hot) but who want something a bit more than socks. I may have to get myself a pair. What a lovely site and great idea. I would buy a kit for myself of the ladies crossover slipper and am delighted to see they start in small sizes. As an adult with tiny feet I often struggle to get slippers which fit (which are not pink and sparkly!) so I’ll be choosing size 1-2. 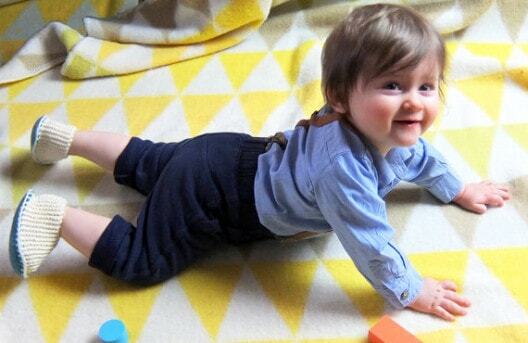 Oh my goodness…itty bitty slippers! Adorable! Hi Cheryl, Pleased to say we’ve FINALLY got random-winner-selector-machine cranked up and you are the winner! 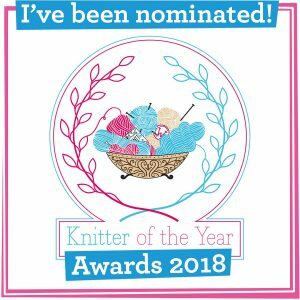 Please email me to let me know which little kit you’d like! The baby slippers would be perfect for gift knitting as I have a friend expecting a New Year’s Eve baby, and a 3-6mos size of those cute little chick ones would be just in time for Easter, too! Kitsmas posts have been terrific, and especially Joe’s Toes! 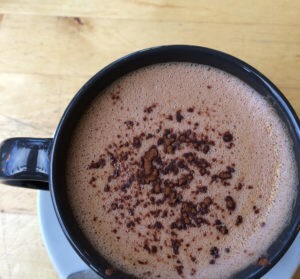 I love their products and their service! To make the top of the knitted slipper, go to “how to make” tab on their website, and voila: “How to make our Cross-Over Knitted Slipper”. If ordering from them for the first time, check out the needles, hooks and thread. On my wishlist: felt fat quarters! Their felt is lovely! I love the buttons! From the birdies to the inscrutable cats they are just great! What lovely crafty things, but I must admit the felted slippers are very tempting, especially the red ones with orange and purple soles! This is what I would go for. I just love the buttons! Hedgehogs and Butterflies are on my list! What a great giveaway! 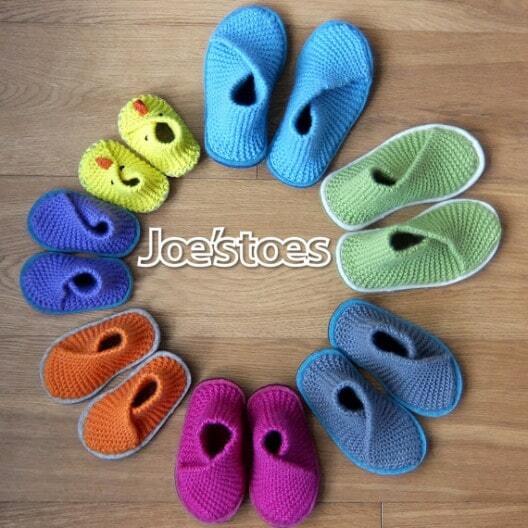 I was browsing the Joes Toe Shop page and I really would love the regia yarn, the chunky yarn and some circulars! The kits are lovely, but also the slipper soles, and I love the buttons! I love the over the knee socks, all the slippers and the boot liners ( what an ingenious idea)!! Love the Kitsmas series, such good information!! On my Christmas list would be the bird needle felt kit and some bird buttons. They are both so cute! The Joes Toes site is really excellent! The dense felt fat quarters had me up all night conjuring next years holiday ideas! A source for soles is always valuable. And their hand tools! I will be shopping with them! And thanks for doing your homework to keep me thinking toward new challenges. Previous Postepisode 49 spilling Edinburgh Yarn Festival beans!